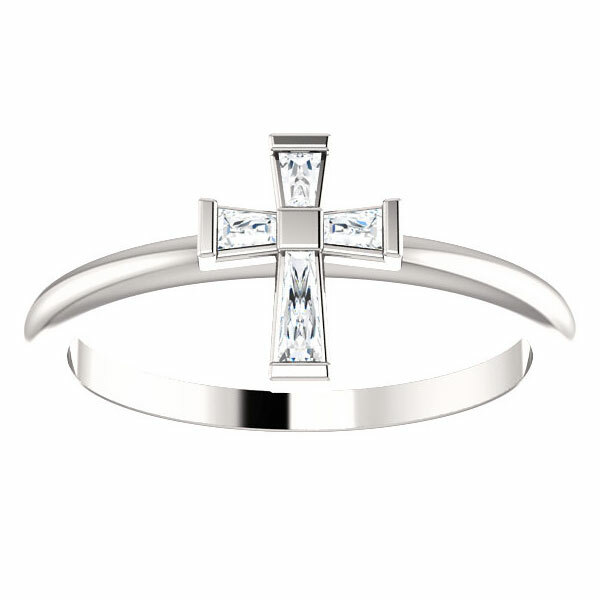 A one-of-a-kind find, the Cubic Zirconia (CZ) cross ring for women from Apples of Gold Jewelry is crafted in pure .925 sterling silver and is a perfect way to showcase the symbol of the cross to friends and family. 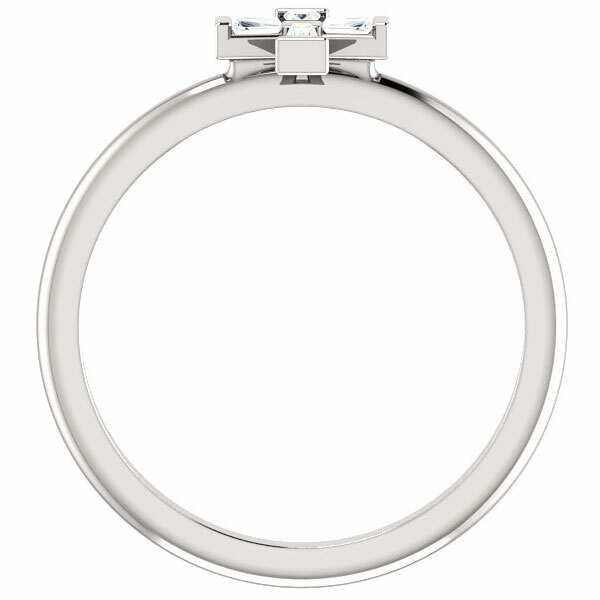 Also available in yellow or white gold (shown below). The band of the cross ring measures approx. 1.8mm wide and the top/face of the ring measures 9mm x 7mm. 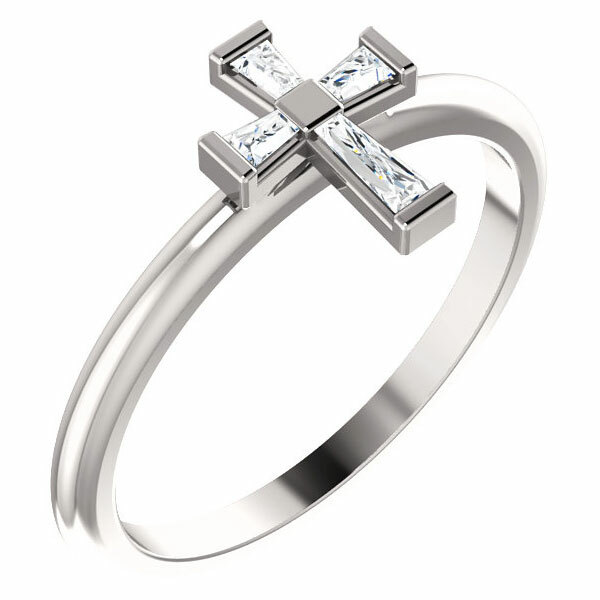 Would you like this ring with real diamonds and sterling silver? Simply contact us! 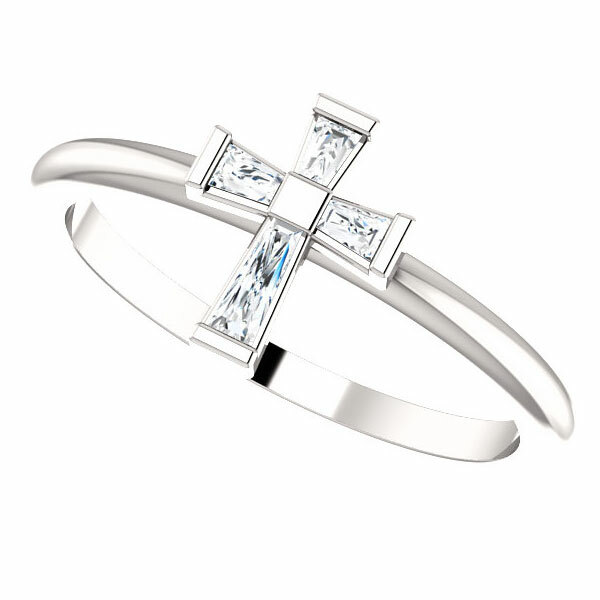 We guarantee our CZ Baguette Cross Ring for Women in Sterling Silver to be high quality, authentic jewelry, as described above.